Today I took the girls with me to worship at our home church, Jared took the boys to his preaching post. 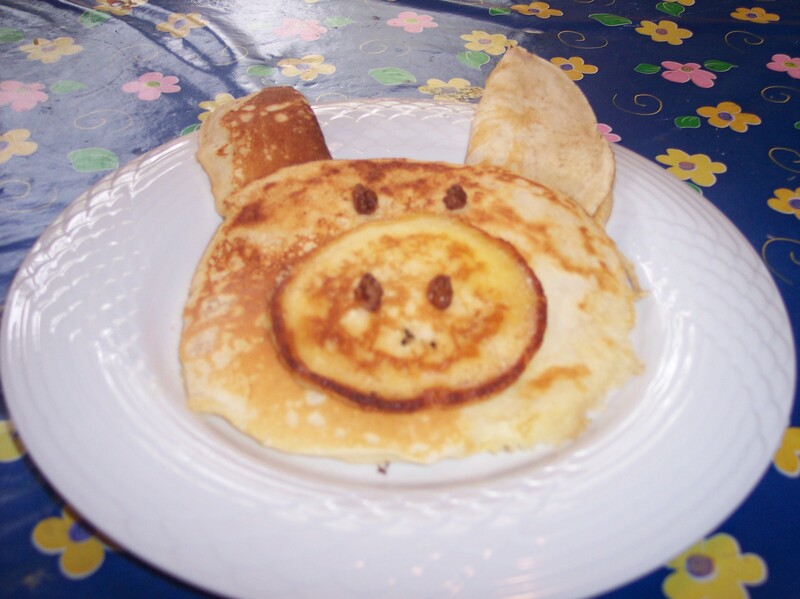 I got home from church with the idea of making these special pig pancakes that I saw on another blog. Just as I finished the first one, I got a call from the boys saying that they won’t be home for lunch. So here is the one and only pig pancake, What quickly followed was a platypus and a faceless one.